The series “Happenings” by Tomasz Kulbowski was featured in the LensCulture – probably the most popular online photography magazine. It was a part of a “series of inspiring features on great contemporary street photography” – a collection of resources accompanying this year’s edition of the Street Photography Awards. The series “Happenings” consists of photographs taken between 2009 and 2015 in various cities around the world: Bangkok, Berlin, Krakow, London, Lublin, Sydney, Warsaw, Zadar and Zagreb. 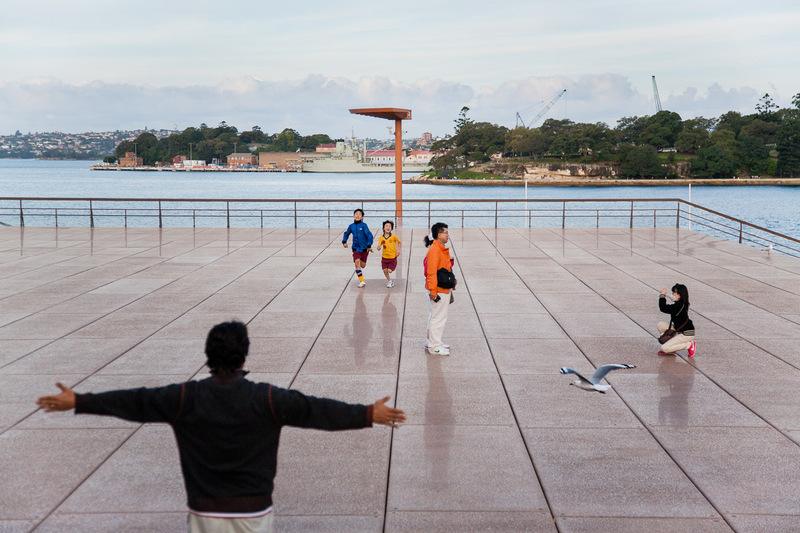 The main subject are people within the public space—their everyday rituals and interactions with the surrounding. Taking advantage of the discreet character of street photography, the author captures the stream of daily life, quotidian urban occurrences and sees with fresh eyes those typical situations we are surrounded with on street corners around the world: gaping tourists, expressive street artists, harried people at work, frenzied shoppers and so on. Of course, these moments happen all the time, but to catch them strikingly is a question of waiting and looking. Waiting and looking. Thus, the title “Happenings” is a reference to how these trivial scenes produce something greater thanks to unexpected compositions and unique combinations of meanings. The “happening” serves as a co-author of these photographs, a cooperation between myself and the beautiful chances that the world has to offer.